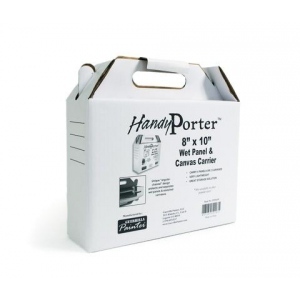 The 5x7 Handy Porter™ is for carrying and storing paintings. 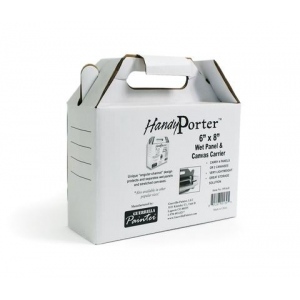 Lightweight and sturdy, it protects paintings out in the field without weighing you down. 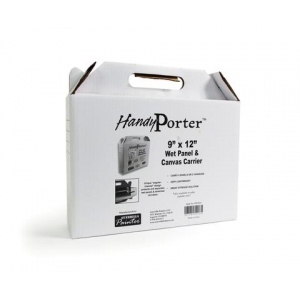 It can also be used to store paintings or keep them dust free while drying. The sides have an angular channel design to protect the edges of your artwork. 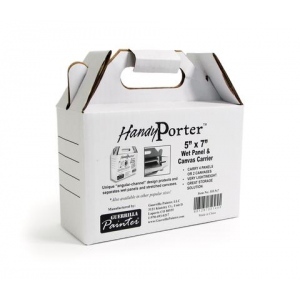 One advantage of the Handy Porter™ over other wet painting carriers is that it is very lightweight and economical. Shipped flat with instruction for assembly.